Okay, you have been diagnosed with atrial fibrillation, an irregular heart beat linked to stroke, heart failure and symptoms such as shortness of breath and palpitations. 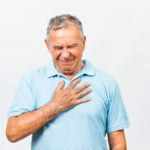 If you want to learn more about the cause of atrial fibrillation and how to fix it, read this post. 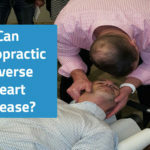 The article you are reading now is about why a cardiologist (me) recommends all of his patients with atrial fibrillation are under the care of a Doctor of Chiropractic. 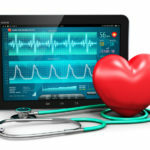 The heart is controlled by the autonomic nervous system, the connection between the brain and the organs and tissues of the body. Through the autonomic system, the brain can control the function of the stomach, liver, kidneys, lungs, and the HEART. Every other organ too. The autonomic nervous system controls the heart with sympathetic and parasympathetic activation. Sympathetic makes the heart go faster, parasympathetic slows down the heart. The imbalance of the above two branches can impact atrial fibrillation occurrence AND how fast the heart goes while in atrial fibrillation. This is where the doctor of chiropractic comes in. They balance the autonomic system. With chiropractic care of the cervical spine, parasympathetic balance can be achieved. The thoracic spine sends off sympathetic nerves to the heart. When the thoracic spine is corrected, the sympathetic innervation of the heart is improved. The doctor of chiropractic checks and corrects vertebral subluxations: areas of misalignment, malfunction, and immobility of the spine. Subluxations arise because of 21st century living on planet Earth. Sitting, typing, sleeping, car accidents, sports injuries….you name it. These injuries can lead to subluxations and diseases like atrial fibrillation down the road. Inflammation is a sign that the body is on fire. The heart can be inflamed as well, leading to irritation and atrial fibrillation. Guess what. Chiropractic care is proven to lower markers of inflammation. By reducing inflammation, I think we can seriously help those patients with atrial fibrillation. I have the patients to prove it. When my patients work with a DC, health happens. Poor nutrition and a toxic lifestyle are linked to atrial fibrillation. Your chiropractor can help with all of these issues, guiding you to a better life and disease prevention. Ask a friend, hop onto Yelp, or email us. Go to the doctor of chiropractic and when asked why you are there, tell them a cardiologist recommended chiropractic for atrial fibrillation. Watch my full video on atrial fibrillation and what you can do about it.